Temasek Technology is also known as a leading web hosting provider since 2005. A major factor when considering which web hosting company to choose is "uptime". Uptime is simply the terminology to mean service availability. Temasek's record for the past 7 years is impressive. We have consistently maintained a service uptime of more than 99.98 %. This, together with our highspeed connectivity, reliable servers and excellent customer service, explains why more than 50% of our new customers are recommended to us by existing (and satisfied) customers. Even as we've gained a reputation over the years for an unsurpassed level of service, we'll go the extra mile to meet and exceed clients' expectations. All through a consistently high level of service, unrivalled technical support quality and cost-effectiveness with the fast, state-of-the-art servers we deploy. Just how far will we go? In the unlikely event of customer dissatisfaction, we're ready to provide a refund, no questions asked. 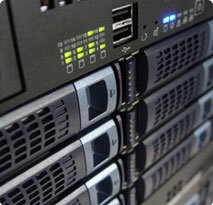 TemasekTech only using the latest and Enterprise build Server for all our Hosting Server to improve Performance.